NOTE: Gayle had so much great “Inside Out” information to share, I decided to put it all in one place so you wouldn’t miss any of it! It’s a long post but well worth spending the time reading. 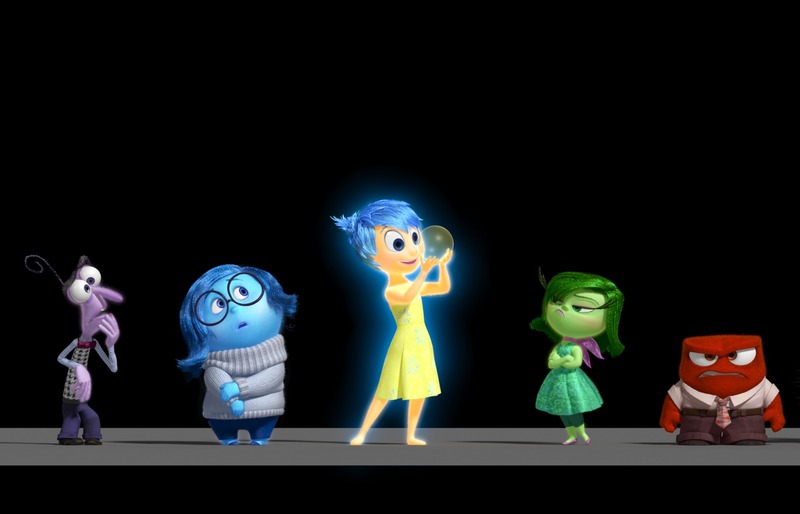 I can’t wait for “Inside Out” to open. It’s a great film! Finding an email that starts with the words “Disney would like to invite you….” Is always a moment that makes time stand still but when you find out that you’re heading back to Los Angeles next week with 24 other incredible bloggers to, wait for it…..walk the Red Carpet –yes THE Red Carpet –for the premiere of Inside Out at the El Capitan Theatre, there may have been a shriek or two heard. 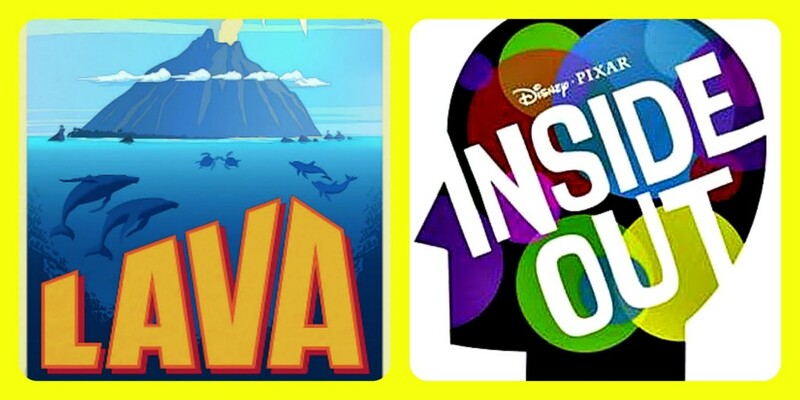 My Inside Out journey actually started last January with another very special media trip as I traveled to Pixar Animation Studios to sit down and talk to Pete Docter and Jonas Rivera about the making of their then up and coming animated film for the entire family as well as interviewing James Ford Murphy and Andrea Warren about Lava, the short that will play right before Inside Out. Here’s a look at some of the exclusives we’ll be bringing to you from Los Angeles next week June 7 through June 9. 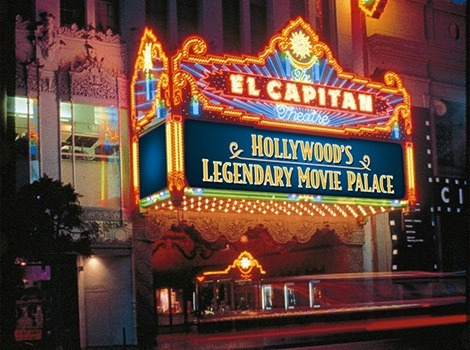 While in L.A. next week, we’ll be walking the Red Carpet at the historic El Capitan Theatre in the heart of Hollywood to attend the world premiere of Disney•Pixar’s latest film Inside Out. This animated family film takes you inside the mind of Riley, a young girl who is who is uprooted from her Midwest life when her father starts a new job in San Francisco. Growing up can be a bumpy road, and it’s no exception for Riley. Like all of us, Riley is guided by her emotions – Sadness (Phyllis Smith), Anger (Lewis Black), Disgust (Mindy Kaling), Fear (Bill Hader), and Joy (Amy Poehler). Surf’s Up! We’re ready to hit the beach with the cast of Teen Beach Movie 2 While in town we’ll be attending a special screening of the Disney Channel highly-anticipated Teen Beach Movie 2 which premieres Friday, June 26th at 8:00 p.m., ET/PT on Disney Channel as well as on DVD with never-before-seen dance rehearsal bonus feature starring Ross Lynch (‘Austin & Ally,’ and member of ‘R5′) and Maia Mitchell (‘The Fosters’). Part of the fun includes the chance to take part in a special post-screening interview with Chrissie Fit (“Pitch Perfect 2”) aka CheeChee and Jordan Fisher (Hollywood Records recording artist) aka Seacat . Then we’re putting on our dancing shoes for our special dance lesson. Luckily around here, Hailey and Lyssie play Teen Beach Movie 24/7 and they’re doing their best to help me brush up on my dance moves. If your family is like ours, Phineas and Ferb is can’t miss TV. 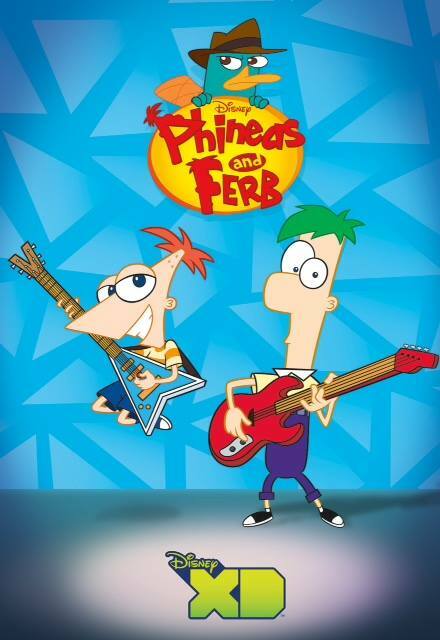 After 126 episodes, five one-hour specials and a record-breaking Disney Channel Original Movie, the day that Phineas and Ferb fans have been dreading since this show first hit the airwaves back in February of 2008 is now just weeks away. The Last Day of Summer-– an hour-long episode of Phineas and Ferb — will debut on Friday, June 12th starting at 9 p.m. ET/PT on Disney XD with a simulcast on Disney Channel. Luckily, to properly set the stage for this show’s send-off, Disney XD plans on presenting every Phineas and Ferb story just prior to “Last Day of Summer” ‘s broadcast debut. This 73 hour-long marathon will begin on Tuesday, June 9th at 8 p.m. ET/PT. As part of our media trip, we will be treated to a screening of this very special episode and then have the chance to interview creators and executive producers Dan Povenmire & Jeff “Swampy” Marsh and a summer picnic plus photo opportunity with Dan, Swampy, and Phineas & Ferb themselves! It doesn’t get any better than that! The survey says…… As if this trip couldn’t get any better, we just got word that part of this amazing media trip includes a live taping of ABC’s new primetime celebrity version of Family Feud, based on one of television’s most popular and enduring game show formats, and premiering on Sunday, June 21st at 8/7c. 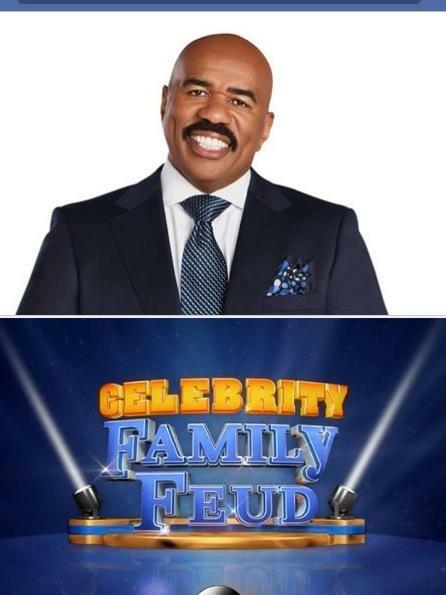 The Celebrity Family Feud six-episode special series will feature fan-favorite celebrities competing with their families for charity on the famous stage of “Family Feud.” Hosted by the highly popular multi-hyphenate standup comedian, actor, author, deejay and Emmy Award-winning talk show host Steve Harvey, whoever the celebrities are, one things for sure, the survey says it’s gonna be a great time! 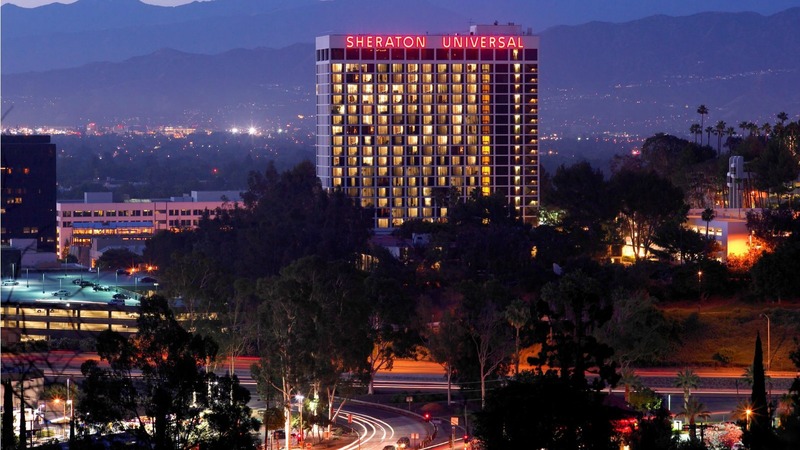 I am thrilled that while we’re in Los Angeles our home away from home will once again be the Sheraton Universal Hotel the perfect hotel whether you are there for family, business, leisure or a little bit of everything. I was lucky enough to have been a guest here during the recent #TomorrowlandEvent and they truly make you feel welcome with your every need taken care of. The Sheraton Universal Hotel is located right next to the Universal CityWalk which with all of its dining, shopping and experiences you can always expect the unexpected. Stay tuned right here for all the excitement as we bring you all the exclusives from this amazing media trip. 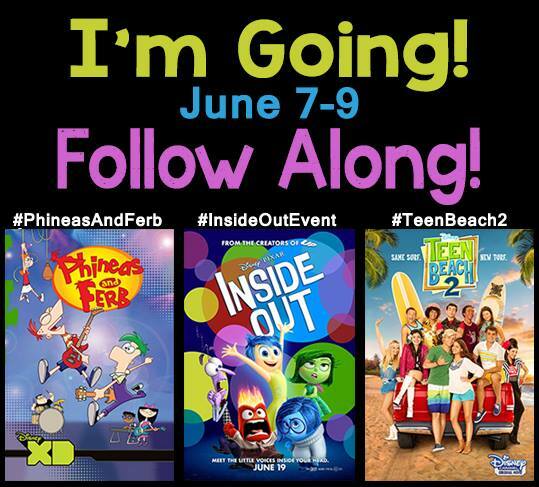 We know you won’t want to miss a thing-from the Red Carpet of Inside Out all the way up to the Last Day of Summer, we’ll have it all for you right here! Follow along with me at Facebook, Twitter and Instagram and across social media looking for our hashtags to get all the exclusive updates and live from the events. Disclosure: I have been invited by Disney to cover this media event. All material and expenses for this event have been provided courtesy of Walt Disney Studios but all opinions my own. Next week, I’m off to Los Angeles for the fairy tale ending to an adventure that started for me last January when I visited Pixar Animation Studios in Emeryville, California to interview Pete Docter and Jonas Rivera, the creative minds behind Disney•Pixar’s Inside Out. Before I head to the #InsideOutEvent with 24 other incredible bloggers from across the country, here’s a look back at what went on to bring this animated family adventure to life. And don’t forget to follow along beginning June 7 as we bring you with us live from the Red Carpet at the El Capitan Theatre in the heart of Hollywood for the #InsideOutEvent for the premiere of #InsideOut. 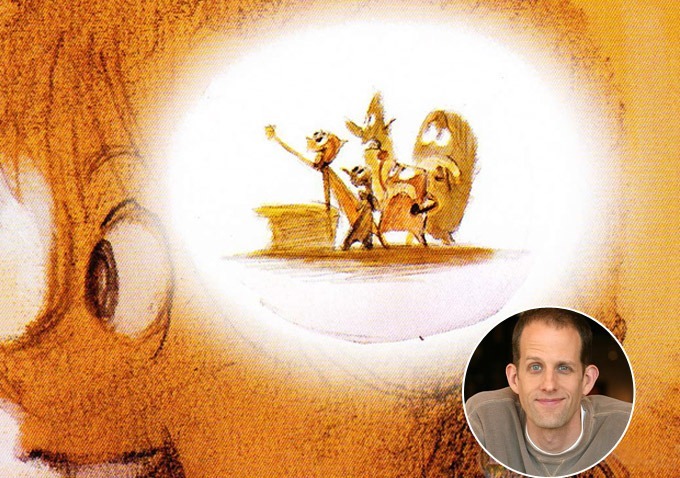 So just what goes on inside the minds of a creative team that make the transition from the greatest love story ever told, Pixar’s award winning movie Up, to the journey inside the mind of 11-year-old Riley? Last January I traveled to Pixar Animation Studios in Emeryville, California for a special sneak peek at this sure to be blockbuster from the studio that not only gave us Up, but such classics as Toy Story, Finding Nemo, The Incredibles and Monster’s Inc. to sit down and talk to director Pete Docter and producer Jonas Rivera who have taken on the monumental task of going from the adventurous, famously tear-jerking tale of an old man, a house and a lot of balloons in Up to switching the age focus the other way, chronicling the world of an 11-year-old girl named Riley who, by the way, did I mention, is not the main character- she’s the setting of the movie. 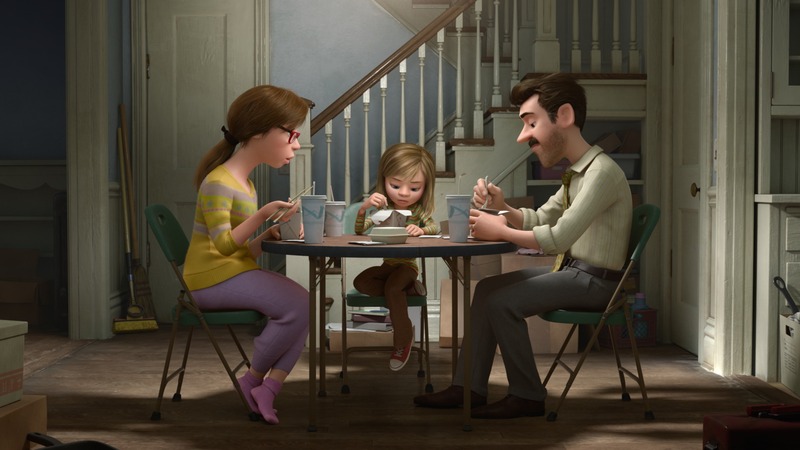 Inside Out takes place within Riley’s mind, exploring how her emotions Joy, Sadness, Disgust, Anger and Fear deal with a traumatic move from the Midwest to San Francisco when Riley’s family is uprooted by her father’s job. Docter and Rivera immediately put you at ease from the moment they enter the room- it’s like being with the friends from the neighborhood that you grew up with and shared all of life’s moments with-from the biggest down to the smallest. Docter started the ball rolling by sharing “We both have kids. My daughter was the voice of young Ellie in Up She was nine when we recorded that and was actually a lot like that character. She would walk up to strangers and go, “Hello,” talk to people, and was spunky and bubbly. Then she turned 11 and 12 and things changed a little bit-she got quiet. We talked to her teachers who’d say, “Ellie’s a quiet girl.” And we’d ask, “Who are you talking about?” Sometimes you go through a very difficult time in life from both from the kid’s point of view, and the parent’s point of view. From those moments in his life, the movie Inside Out was born. It is the story about figuring out just what is going on inside the place known as the mind. 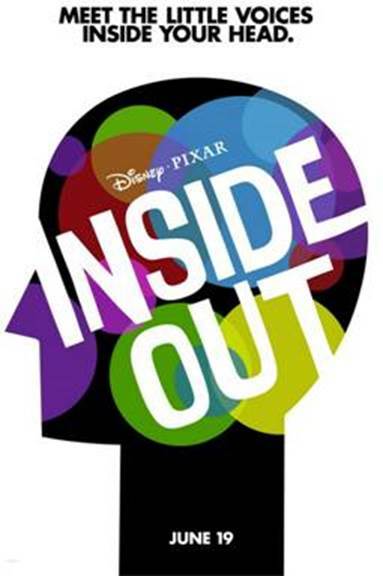 Inside Out, which will be released June 19, 2015, will break new stylistic ground. 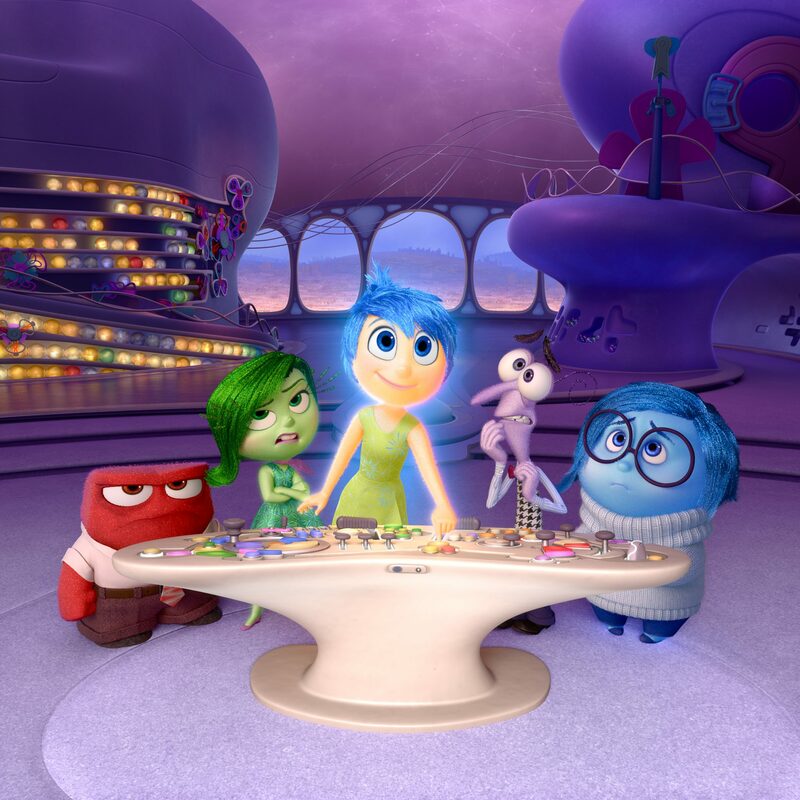 While previous Pixar movies have aimed for realism, Inside Out came with new challenges and uncharted territory. “We’re doing stretchy, squashy stuff we’ve never been able to do before,” as it is literally a story coming directly from the inside of the mind of 11-year-old, Riley. It features the central characters that make up her emotions -Joy (voiced by Amy Poehler), Fear (Bill Hader), Anger (Lewis Black), Disgust (Mindy Kaling) and Sadness (Phyllis Smith), all of whom vie for control of Riley’s decisions when her family relocates from small-town Minnesota to San Francisco. Riley is struggling to cope with the new situation as she hits the age when kids start to lose their childlike sense of happiness and head towards the grumpier tween / teen years. Joy and Sadness find themselves trapped elsewhere in her mind, and must make their way back to “headquarters” even as their colleagues try to hold things together. We had this idea of using emotions as our main character- Anger, Fear, Sadness, Disgust and Joy. It was this concept that lead to this great research that we got to do talking to psychologists and neurologists, and really deep dive into the how and why we think and feel. A lot of that research has shown up in the film, and then of course we made some stuff up too because after all, we wanted to create something that not only told a story that hadn’t been told before, but that was fun to watch as well. So just how difficult was it to bring to life a story that personified the emotions of a tween, especially coming off of the success of Up? Like all the films we do, it’s built on many iterations of the same thing. It was a concept that was pitched to John Lasseter in June of 2009 and then other projects such as Monsters University came along so it had been tumbling around in the background for a little while. The way we tend to work here is that we’ve been asked to pitch three ideas, and that way we can kind of play around and use them to play off of one another. We knew it was a little unorthodox, but here there are no rules. Both Docter and Rivera had worked at Pixar since Toy Story changed animation in 1995, and they wanted their new film to push the genre’s limits again without alienating audiences. The puzzler was, how could we take audiences somewhere that they could relate to, but they’d never been before? They responded with Inside Out’s animation as well as its story. The emotions are not rendered as solid—they are composed of tiny particles of light. We wanted them to look like emotions feel, Their unusual texture presented us the opportunity to reject the realism previous Pixar animations had pursued. Even from the small portions of the film we were treated to, it was clear that the results of their collaboration will take you on a journey in animation unlike any other and will touch something inside of you no matter what your age. Like asking you which one of your children is your favorite child, it’s hard to say which Pixar movie is your favorite. Each one of them strikes a chord with you and pulls on your heartstrings in their own unique way. 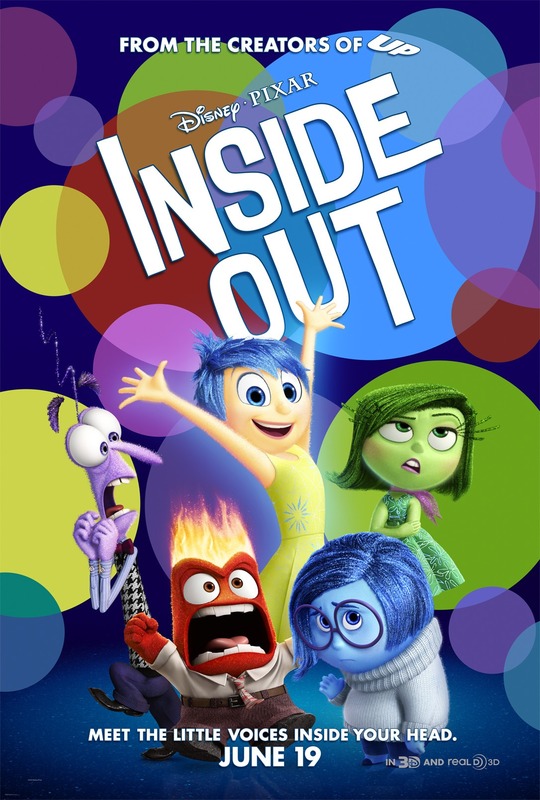 They all make you laugh, they all make you cry and they all touch your soul and stay with you long after the lights come back on, but from what I’ve seen of Inside Out, and hearing first hand how the idea became a reality, I may just have a new favorite-by a little bit at least. Find out all of the latest from inside Riley’s mind! Next week I’m off to Los Angeles to join 24 other incredible bloggers from around the country for the #InsideOutEvent. Stay tuned right here as we bring you all the exclusives from this amazing media trip. 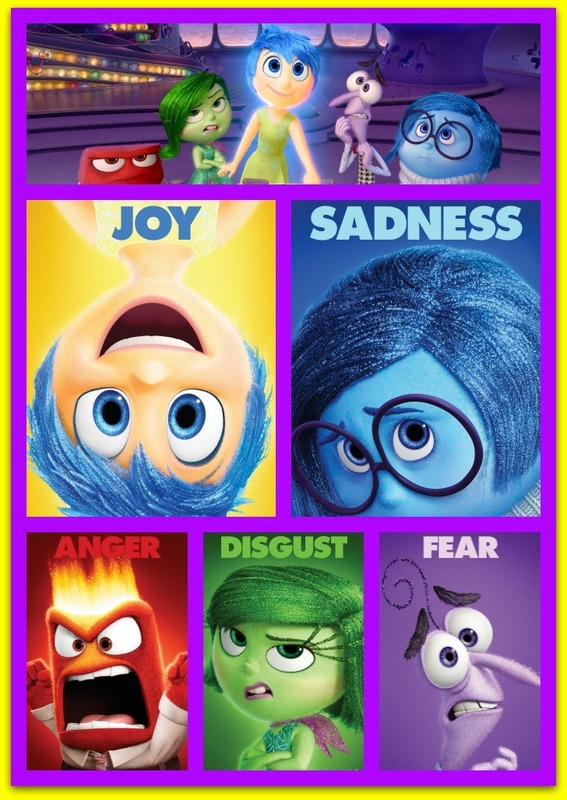 We know you won’t want to miss a thing-from the Red Carpet of Inside Out all the way up to the Last Day of Summer, we’ll have it all for you right here! Welcome to your 24/7 Disney Movie Channel lol! I see the entire movie tomorrow but we are under embargo until I think next week.